Down Syndrome Association for Families of Nebraska (DSAF) - Teen/Young Adult Stars Let's bowl! Teen/Young Adult Stars Let's bowl! 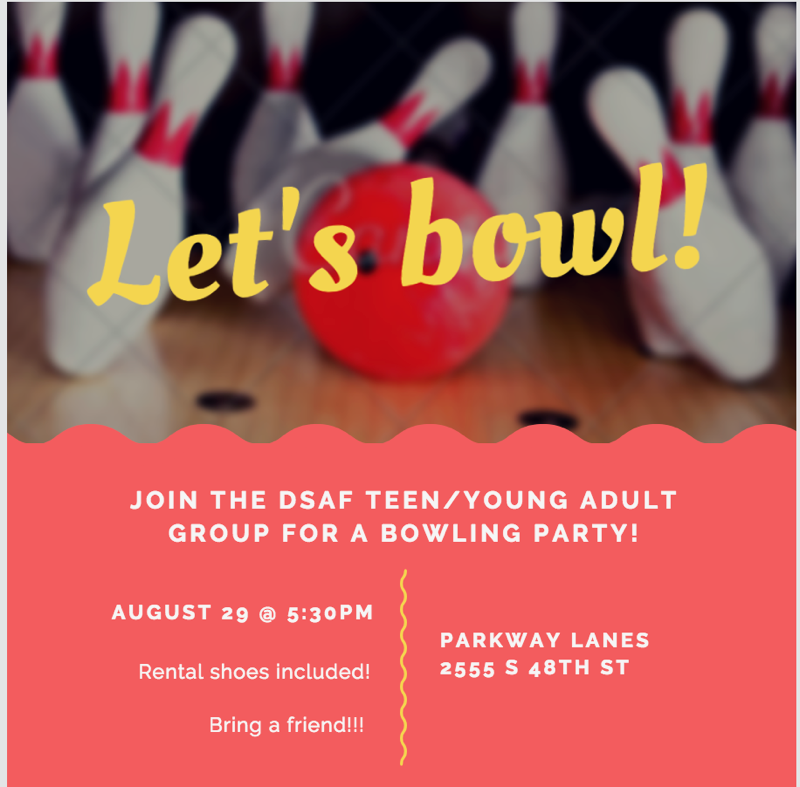 DSAF TEEN/YOUNG ADULT STARS group reserved lanes at Parkway Lanes at 5:30 p.m. and will pay for two games of bowling and shoes for members and one guest. Wednesday, August 29 - 5:30 p.m.
DSAF will pay for two games and shoe rental for member & a friend! Further instructions will be sent to registrants via email prior to the event.